Maui’s commercial retail and office space markets have seen better days, with pockets of distress in Central Maui’s retail market and Kihei and Wailuku’s office markets, according to Colliers International’s Maui market year-end report for 2016. 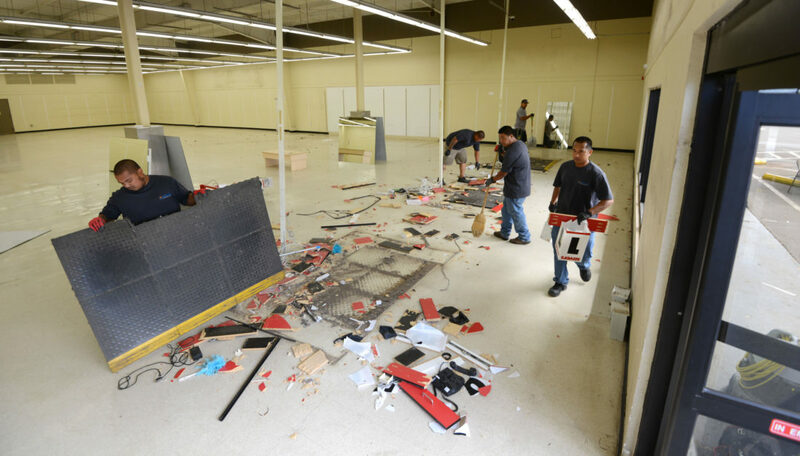 And, the future of brick-and-mortar stores in Central Maui may be bleak this year as well with the recent closure of Savers thrift store on Dairy Road and the pending June 11 closure of Kmart, Maui’s first big-box store, near Kahului Airport. Meanwhile, Alexander & Baldwin is moving ahead with its 94,000-square-foot Ho’o-kele Shopping Center near Target — a development with a Safeway store anchor expected to put more pressure on an already soft market. The Colliers report shows that Central Maui had an inventory of 1,429,243 square feet of retail and 206,314 square feet of available office space in 2016, leaving it with a vacancy rate of 14.44 percent, a record high. And there was 90,052 square feet less occupied retail space in Central Maui in 2016 than the year before. The average asking price for rent in Central Maui ranged from $2.39 to $3.67 per square foot. In West Maui, the retail space inventory was 887,853 square feet, with 89,988 square feet available, for a vacancy rate of 10.1 percent. The strongest retail space market for owners in terms of vacancies was in South Maui where the inventory was 823,165 square feet and available space was 76,394 square feet, for a vacancy rate of 9.28 percent, the only region without a double-digit vacancy rate. Overall, Maui’s retail vacancy rate last year was 11.87 percent (the highest level in 17 years), with 55,985 square feet less space occupied in 2016 than a year earlier. However, the Colliers report says that a positive sign for Maui’s retail sector is an increased interest in retail development. “Developers are optimistic that South Maui will continue to post strong retail demand as both Downtown Kihei and Wailea Village projects have begun their pre-leasing efforts for a combined total of 191,000 square feet of space,” the report says. In July 2015, the Maui County Council approved land-use measures to clear the way for the $72 million Downtown Kihei project. Plans call for building restaurants, shops, medical offices, a movie theater and hotel on 27 acres bisected by Piikea Avenue and between the Piilani Village Shopping Center and the man-made wetlands mauka of Longs. The 43,000-square-foot Wailea Village Center should be completed late this year or early next year, according to a representative from the project developer to the Maui Planning Commission last year. 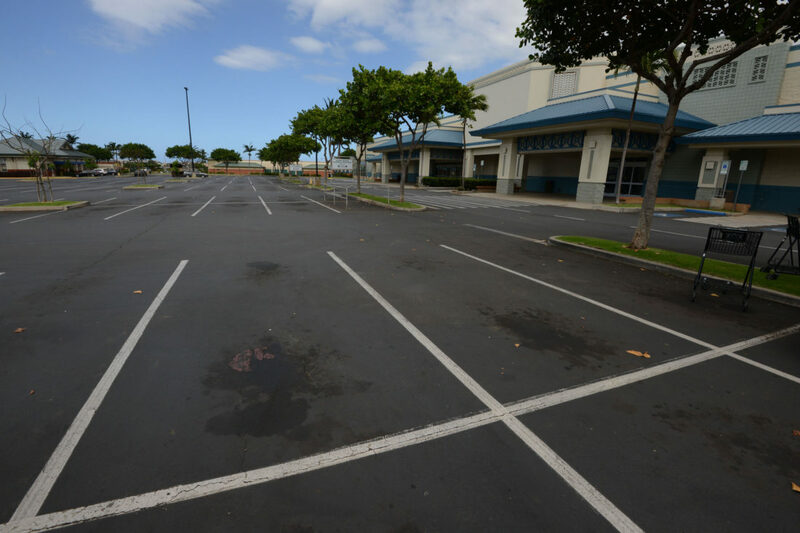 Located mauka of the Shops at Wailea, the shopping area already has a 20,000-square-foot retail center, but plans call for doubling the size of the complex on 6.6 acres near the intersection of Wailea Ike and Wailea Alanui drives. The West Maui retail market may benefit from additional development, the Colliers report says. It points out that there are plans underway for a mixed-use project that incorporates residential, hotel and retail components on the Ka’anapali Golf Course owned by the state Employees Retirement System. That project would include an 80,000-square-foot retail center along Honoapiilani Highway. “With all the new development planned over the next few years, retailers seeking to expand or add locations will enjoy an increase in the number of options available to them,” the report says. Retail rental rates increased for all areas, with Central Maui seeing a 20.2 percent increase in 2016, compared with 2015. Rents were up 5.3 percent in West Maui, and they were up 0.3 percent in South Maui, according to the report. Although visitors are spending more on goods and services, residents have been spending less, the Colliers report says. “Unfortunately, this continues the downward trend that started in 2013,” the report says. Meanwhile, soft market conditions persist for Maui’s office space. Overall, Maui has an inventory of 972,293 square feet of office space and 197,826 square feet of available space, leaving the sector with a vacancy rate of 20.35 percent in 2016. According to the Colliers report, Maui’s office market posted its seventh consecutive year of lost occupancy as the islandwide vacancy rate rose to its highest level in 15 years. Wailuku had a vacancy rate of 15.78 percent, and Kahului had a rate of 8.43 percent. The highest vacancy rate in submarkets was 31.08 percent in Kihei in 2016, a record high, the report says. There, the inventory office space amounted to 415,157 square feet with available space of 129,037 square feet. Boeing Co. left Premier Place as a tenant, leaving open 22,000 square feet of office space. The flip side of soft markets for the island’s retail and office segments was in the industrial market where there’s a “severe shortage” of available space. Kahului had the lowest industrial vacancy rate at 1 percent, followed by West Maui at 1.19 percent, Wailuku at 2.35 percent and South Maui at 3.64 percent — good news for property owners, bad for those who rent or lease. Overall, Maui has an inventory of 5,905,858 square feet of industrial space of which 83,241 was available, leaving a vacancy rate of 1.41 percent. Wholesalers occupy the most industrial space on the island, most of it located near Kahului Harbor, the report says. Wholesale/distributor sales revenue for the fiscal year ending in June 2016 was down by 1 percent to $434.17 million, it said. Commercial real estate investment activity came to nearly $475 million in 2016, although that was a 34.6 percent nosedive from $726 million in 2015, Colliers reported. Prime resort and retail properties together made up $380 million in sales, or more than 80 percent of the dollar value for the year. Offshore money amounted to $397.7 million, or 82.5 percent, of total investment in commercial real estate, the report says. The average transaction amount for offshore buyers was $55.93 million, or nearly 20 times larger than the average transaction size for local buyers, $2.97 million. Last year’s most expensive purchase was $210 million in November for The Ritz Carlton, Kapalua, by a consortium including Trinity Investments, Ares Property Partners, SMW Hospitality and Wafra Investment Advisory Group. The West Maui property, previously owned by Woodbridge Capital and Colony Capital, includes 297 hotel rooms and 107 resort condominiums.